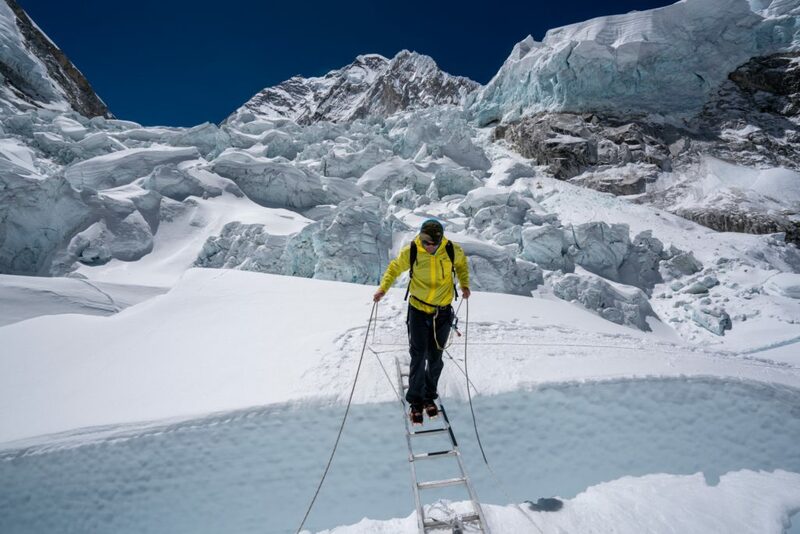 Last week, ExWeb brought news of two separate teams targeting the Everest-Lhotse traverse. We now have an update from Jon Griffith at base camp, confirming that he and Sherpa Tenji will attempt the traverse via the South Col route. Meanwhile, Colibasanu and Hamor will tackle the West Ridge. Tenji will not use supplemental oxygen in an attempt to honour Ueli Steck’s style and ethics. Griffith will use supplemental oxygen. 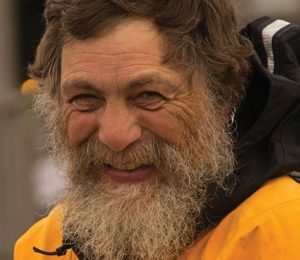 Griffith and Tenji will live-stream their climb over National Geographic channels as well as personal pages. 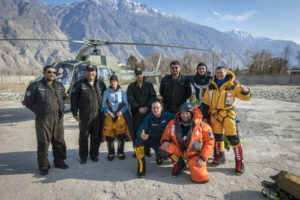 They will also post video and stills on social media in the build-up to their summit bid, which they estimate could take place around May 25. I’ll be climbing with Tenji but on bottled oxygen. 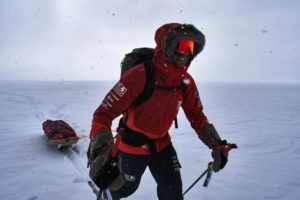 We will have a team of two or three Sherpas helping us as well because I have to carry a lot of kit with me. We have to keep our team as small as possible because filming in Virtual Reality requires everyone to be out of the scene as we shoot in 360. So the bigger the team the harder it will be to clear every scene. Given that Tenji cannot stop because he’ll get cold instantly it means we have to work hard around him and be fast and nimble and flexible. That would be impossible in a big team. To be honest it’s a really tricky filming style … The fact that Tenji is not on O2 means that we really have to nail every single shot each time as there is no hanging about. 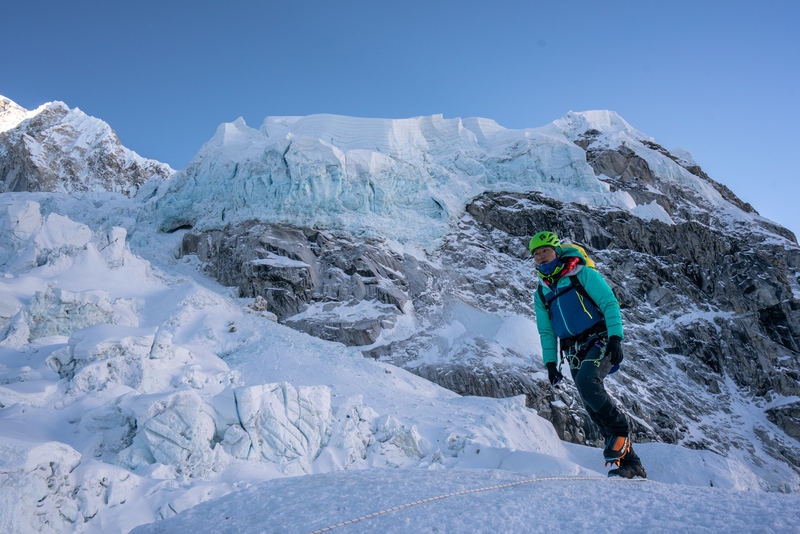 Currently Griffith and Tenji are at base camp, and will be heading back up through the Khumbu Icefall to spend two nights at Camp 2 tomorrow. After establishing an advanced base camp at 6,400 m, Colibasanu and Hamor have descended down to Deboche. They intend to return to base camp in three days, then head up again to Camp 2 in six or seven days. 3 Comments on "Everest-Lhotse Traverse Update"
Good Luck to both teams. May both succeed in the memory of Ueli Steck. Absolutely correct. Although, as far as I understand, filming is the most important focus on that Tenji/Griffith attempt. Hamor and Colibasanu got me interested though.